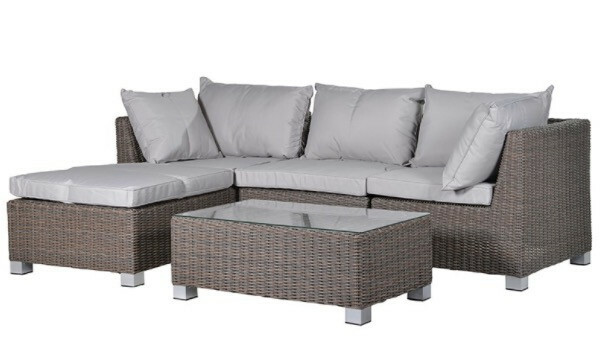 Product Information: Suitable for outdoor use – We recommend that all cushions & seat pads are stored indoors after use, this applies for furniture which is suitable for outdoor use. 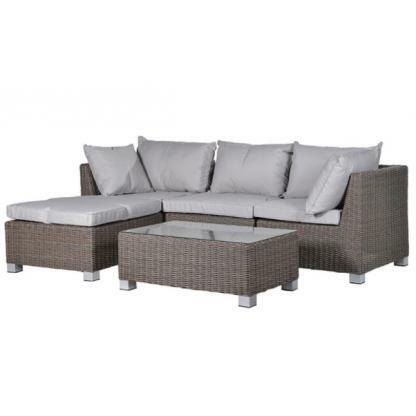 a: Sofa : H:870 W:2420 D:1580mm. b: Table : H:380 L:1000 W:590mm.